Fianna Fáil’s Lorraine Clifford-Lee clashed with Fine Gael’s Jerry Buttimer. THE SEANAD WAS briefly suspended today after a row over a comment made by Fine Gael Senator Jerry Buttimer. During a debate in the upper house this afternoon, attention turned to the subject of ‘spin units’ for political parties. “I know Senator Clifford-Lee is trying to assert herself here but it is important to listen as well,” Buttimer replied. Referencing the ‘misogynistic’ remark, Buttimer said Clifford-Lee “has used that phrase in the House a couple of times”. “If Senator Clifford-Lee wants to throw things at me that is fair enough, but one thing she cannot accuse me of is that. I have never done that,” he added. Senator Terry Leyden stood up for his Fianna Fáil colleague Clifford-Lee, describing her as “an inspiration to women in this country” due to her work. The Cathaoirleach, Denis O’Donovan, threatened to suspend the House if there were any more interruptions. Buttimer said he doesn’t engage in “personal attacks” and found Clifford-Lee’s remarks “very disappointing”. 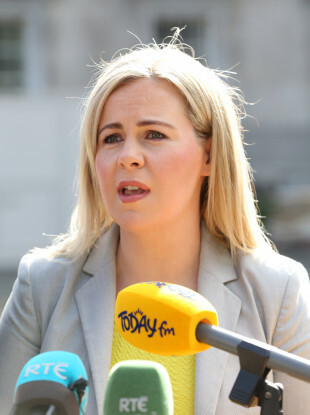 Speaking after the suspension, Fine Gael Senator Gabrielle McFadden said Clifford-Lee had done “a huge disservice to women by accusing any man who disagrees with her of misogyny”. “Women are often mistreated or dismissed in society – she undermines all our struggle by making duplicitous accusations just to get attention for herself,” she tweeted. Email “Seanad briefly suspended over 'misogyny' row”. Feedback on “Seanad briefly suspended over 'misogyny' row”.